Danny: It was 31 minutes. SavvySleever: Now you’ve been doing this for how many months now, consistently? Danny: I’d say 8 months training, 9 months getting the materials. When I used to tear phone books, I’d found this system of sledgehammers — leveraging them and doing cleans with them — so I knew the effect of leverage, even though it was only a 12-pound sledgehammer. Immediately when I saw maces coming onto the market again, I thought we could definitely adapt the clean, the press, whatever. And nobody was really doing it, they were just doing around the head stuff, and I thought we could do all our Olympic lifting with it. For the seminar, we had maybe 30 original exercises. We might be up to 60-80 exercises now that are just like totally new. SavvySleever: You did it for 3 months. What were your results? Danny: And when I was working out, I was getting nauseous in the first few sets. I was thinking maybe I was tired, I work a lot, or whatever. But then you realize, even though you’re in the gym every day, your body tells you to stop when you can’t keep going at the pace you’re at. Around the time I was starting to play around with maces, I was deconditioned, about 148 pounds. That doesn’t sound like a lot, but I’m super small boned, and at 5’5″, my weight was on the heavy side for me. Especially if it’s not muscle, which it was not. Over those 90 days, I think I went down almost too low. Danny: I think I was 123 pounds after 90 days. Lily: But he didn’t lose any muscle. He actually gained muscle mass and filled out his body better than when he was heavier. Danny: I didn’t lose strength on my bench press — all those things you’d think you would lose, I didn’t. My body fat went down from 16 to 8 percent, and I’d never been in single digits even at my healthiest point. I knew there was no doubting the amount of metabolic effects these circuits have. You feel it afterward, you feel it happening. And I cleaned up my diet, but nowhere near where I would if I was trying to be that strict. I was working out three times a week. You’re talking about maybe an hour and a half of training per week. Bryan (My Husband): The maces looked really intimidating before I tried it. It looks so crazy, but then you learn it and it makes sense. How would someone start out? Danny: I would say for women that have been training, get a 10 and a 15 pound mace. The complexes early on, you’ll probably want the 10, and then the 15 for Olympic lifting — the jerks and snatches and stuff like that. I think guys should probably start 15 and 20. I think they’ll be surprised; to do a metabolic series with 25, you have to be really strong. SavvySleever: Where can you get the maces and club bells? Danny: You get maces from Onnit, and the clubs, we also get from Onnit. Bryan: Why should people get stuff there? Danny: I like Onnit’s clubs because of the thinner profile on the grip. It’s easier on the wrists for rotational movements. On the maces, with the grips on there, you don’t need chalk. They have a shorter, thicker mace that we like, because you build the grip strength with it and the shorter ones allow us to manipulate them and do a lot of different stuff with it. Bryan: We have the benefit of an experienced and talented trainer. Is this something people can teach themselves at home? Danny: I think they can teach themselves the basics, but they should do a certification like the one at our gym. We’re putting out a format where the exercises are in order — like today, you realized the bench presses are way harder after you’ve done that complex because your arms were shot. So you’re talking about your max bench press for 10-12 reps probably drops to like 60 percent of what you’d normally do. Just having that pairing from someone who’s done it before is super important. Like, you don’t do too much core stability before you put something over your head. Everyone can do it, from the young girls to the 60-plus ladies swinging the club around and getting the same result… What’s going to happen here is you’re going to get leaner, tighter, faster and fitter. Bryan: I think one of the best endorsements of your gym is that all the women seem very comfortable with what they’re doing. I think here, they see Lily as the best at doing this in the entire gym, and they know this is possible for them. Lily: To like the 1 percent who looks a certain way. Not to the 90 percent of people who have a regular life. Bryan: Exactly. What are they missing that you’re not? Lily: We always put women first. Usually people are like, let me show you my certificate. We go through everything, give them results, and that really speaks for itself. There are certain things you have to do when you’re the leader of something, teaching people how to go through workouts. There’s not this big dude like, “Come on, let’s do this!” They’re looking at Danny, like, he’s strong for his weight. He doesn’t have to show off or throw around huge weights to get people to listen to him. Just talking to him, you know exactly where he could take you. Danny: It’s totally selfless. You guys travel down here, and your workout is more important than my workout. Just a handful of people have even seen me train. We always decide, if Lily’s going to train, I’m going to answer questions. People like training with Lily. From the last person to finish to the first, nobody ever feels like she was in any way not supportive to them. When we start with someone, we always ask them what their goals are, and it’s usually less than we know they can get to. So we try to paint a picture from Day 1 of what we expect from them. If they’re here in 90 days, they’ll be here for life, because they remember the conversation we had on Day 1. SavvySleever: As a woman, I don’t want to look like I’m on steroids. And that’s a misconception, that you’re going to lift weights and get really bulky and look ridiculous. Lily: A lot of women [who bulk like that], what you see on TV or around the gym, it’s because they’re taking some sort of testosterone, because no woman has that much. Even for males, who naturally have testosterone, it’s tough to put on muscle. What’s going to happen here is you’re going to get leaner, tighter, faster and fitter. SavvySleever: Are the macebells and clubs only for women who are super-athletic? Or can the average woman really see those types of results? Lily: Oh no, they definitely can. We have Mary, she’s almost 60, and some exercises we used to have to modify for her. With the maces and clubs, she doesn’t have to modify anything, and she feels even better because she can do everything. Everybody that’s already started a month ago, they’ve already dropped body fat, and you can see it. 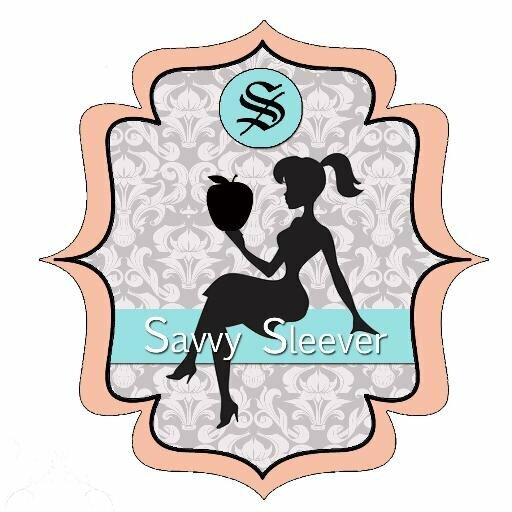 SavvySleever: For women, what I like is that you’re not just lifting weight up and down, you’re twisting, like with the clubs. You’re working your body. Lily: And everyone can do it, from the young girls to the 60-plus ladies swinging the club around and getting the same result. Danny: For athletes, we’re working every plane of motion, changing force factors all the time depending on where the club or mace are swinging. I have two people with chronic bad backs who are able to contract the midsection without spinal flexion. The doctors want them to get stronger abs, but they don’t want them bending. They’re able to get their body to go in one direction, stop and go in a different direction — all stuff they couldn’t do before without pain, they’re able to do. Other people only have one basic tool of training. He has a toolbox full of stuff people have never seen. Danny: I would say, No. 1, always reinvest in education. If we see something that we want to know more about, we’re going to contact that person we think is doing the best at it and invite them down to the gym. They might show it to me with a kettlebell; we’ll look at it with a club or a macebell. When we first got into kettlebells, we had Jason C. Brown come down to teach us. He was great business-wise, showing us what to do, how we should set up. You never think that you know it all, but you stick to your guns that you don’t jump on fads. We see everyone jumping in a direction, and we’re kind of like, we’ve seen this route go already, and it’s going nowhere. We have a lot of different things in our gym, but there’s a lot of things we won’t have. We don’t have people burpee on the floor. We don’t have people Olympic lift. Although Lily can do muscle ups, we don’t program them, because we don’t think it’s beneficial. Bryan: We saw you do it, too, Danny. Danny: Right, so at least I can prove that I can do it. Bryan: You did, like, one. Bryan: Yeah, one more than I’ll do in my entire life. (laughs) I could live 10 lives and never do it. SavvySleever: Lily, not to minimize your own potential, but Danny, is she like your Mona Lisa? Lily: He’s like a super-mentor. He’s the master of seeing something and making it what I didn’t think it could become. Someone else might see something and think, “Oh, this is good.” But he sees something and he knows whether it’s going to be a masterpiece or not. And that’s what his craft is. When he did martial arts, he took his gear and got his black belt, and now he uses those things within the workout. Other people only have one basic tool of training. He has a toolbox full of stuff people have never seen. So that’s what he’s a master of. He’s like Frankenstein and I’m like Frankenstein’s Monster. He saw my potential and took me to the next level. Danny: Lily, pound for pound, is the best athlete I’ve ever worked with. I get to work with super-strong people, but if they’re 220 pounds and Lily is lifting a 70-pound kettlebell, they’d have to lift a 150-pound kettlebell and they’re not going to do it. I think this is an important thing for women when they start to train – they think they’re not using a lot of weight, but you have to look at their relative strength. And then you start to factor in how they move… are they fast in different directions, are they good at decelerating their own weight? If Lily wasn’t awesome right now, I didn’t do my job. SavvySleever: When you were at the old gym and I was 100 pounds heavier, really struggling through these workouts, I remember you standing over me cheering me on, and I went so much farther than even I thought I could do. You’ll give one compliment in an entire workout, but it means so much because it’s genuine. Danny: Every gym nowadays is like, “All right, we’re going to do this for time,” and everyone claps at the end. I guess that’s cool for the first three times you do it, but then by year 4, what are you doing? Most gyms only have a retention rate of like 6 months — it’s because you can only throw BS in the air for so long. You have to continue to get people results year after year. So if you’re in the last year of 6 with me, you were not in better shape at year 3. You’re in the best shape now, and I don’t care if you’re 42 now and you were 30-something then. Every year, you have to get better. Danny: Right, Lily does that. Danny: Well, intechnical terms, it’s not now a squat. You’re just standing up straight. Like, you’re bending it none. I would like it at like 90 degrees. (Laughs). You have to train with someone a while before you know you can kid with them. However sensitive you think someone is, you have to know they’re about 10 times more sensitive than that. The stuff you’re programming every day has to have good value to it. It has to make sense for the long term. Bryan: Without tipping your hand too much, have you seen something that might be the next big thing after maces and clubs? It does seem like this still has a lot of room to grow. Danny: You know, I feel like with what we’ve done over the past few months, we’re still scratching the surface of what could be done. That’s why we’re so excited about it. The real future, as least as far as we see, is the complete blending together of this modality with our body weight exercises, kettlebells, our Olympic lifting. I think putting that together and using the macebells and clubs as that metabolic accelerator is probably going to be tops right now. Although the results are incredible, I feel like we can go up from here. Also, working with athletes, learning to change direction with load and being able to amplify that load, that’s where we’re headed. SavvySleever: We talk about this in the gym, I don’t want to be 60 and not be able to walk anymore. I want to do exercises that are sustainable and you can do them many years… ones that can help me when I’m 60 to pick up my grandkid. I think doing this training is huge. Danny: Absolutely. We were heavily influenced early on by functional training. When I was a kid, a bodybuilder in my town took his time and explained stuff to me. I used to hang around and watch him train people in his garage, and later on he became one of the only trainers I knew that had it as a full-time job. It paid for his school, paid for everything. So he tells me about JC Santana, this guy in Florida, that he’ll be the next big thing. He put all the exercises we were doing into categories, and that allowed us to program them easier. Something has to come from each category, and if it doesn’t, you’re not really training. So we go through this whole thing, and that really changed the way we want people to be working out. You brought up longevity. If you’re not strong enough to do it when you’re 60, should you be doing it now? People say you build the muscle mass now so you have it later. If it’s not productive to pull a barbell from the floor to overhead at 250 pounds at 60, when should I have stopped? 50? 40? When is the cutoff? Lily and I look at an exercise from all angles. Is it good for now? Is it good for later? Can we do it from every plane of motion? So you ask, “What value does something have?” The stuff you’re programming every day has to have good value to it. It has to make sense for the long term.